Our team are dedicated to ensuring the smooth running of your project and striving for the best possible result for you. We operate throughout New Zealand. Whatever your requirements, we will develop a system that will meet your expectations through innovative service delivery. Our range of services have been developed over more than a decade of close work with architects, builders and developers looking to create high class surfaces that meet rigorous performance requirements. Many of our clients involve us in the design phase to ensure the right products and finishes are specified early to achieve the look and performance they have in mind. For a no-obligation assessment of your property maintenance or building requirements contact us today. 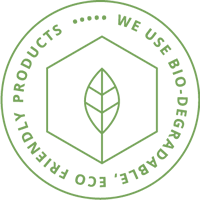 We have an active environmental policy in place, we strive to ensure our products and systems do not impact the environment in anyway. We are proud to use products and systems that do not contain VOC’s. We are always looking through innovation to replace common systems on the market place with systems that are environmentally friendly. Total Property Services leads the market in providing services to businesses across New Zealand. Owned and operated in New Zealand, TPS is known for delivering a range of innovative services on budget and on time. Our service team are marked by their friendliness, professionalism and long term loyalty. See below our range of services, and we look forward to sharing with you the TPS difference.